There are many do-it-yourself sites. 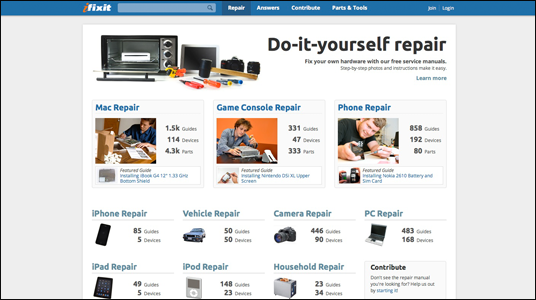 This ‘ifixit’ site is easily one of the best for people who want to try to repair their own Mac, iPhone, Camera and other home vehicle and appliances. The site has very detailed pictures and descriptions that walk you through the repair step by step. Let’s fix it by ourselves! This entry was posted on Tuesday, August 23rd, 2011 at 2:52 amand is filed under . You can follow any responses to this entry through the RSS 2.0 feed. You can leave a response, or trackback from your own site.